Specialized Services Company » MC85: 75th Ave. – 107th Ave.
MC85: 75th Ave. – 107th Ave.
Home ⁄ Projects ⁄ MC85: 75th Ave. – 107th Ave. Description: Vacuum pothole for 78 existing utilities along MC85 to map locations for MCDOT to use in future construction. 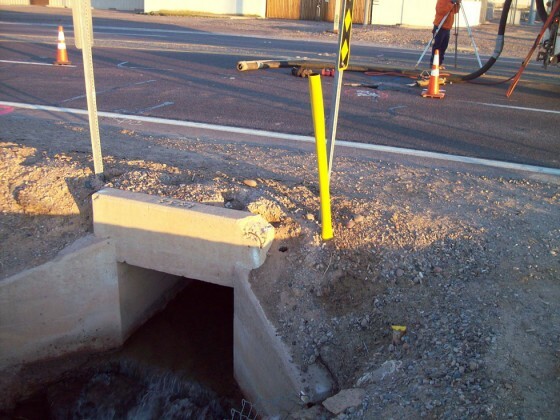 Provide survey and computerized stamped maps, and slurry/hot patched all holes in roadway, as as coordinate traffic control. Challenges: Scheduling work and traffic control to be able to complete the project expediently without causing major disruption to vehicle traffic on this busy roadway. Results: Client received all utility location data required and all work was completed plus roadway restored with minimal impact to traffic.